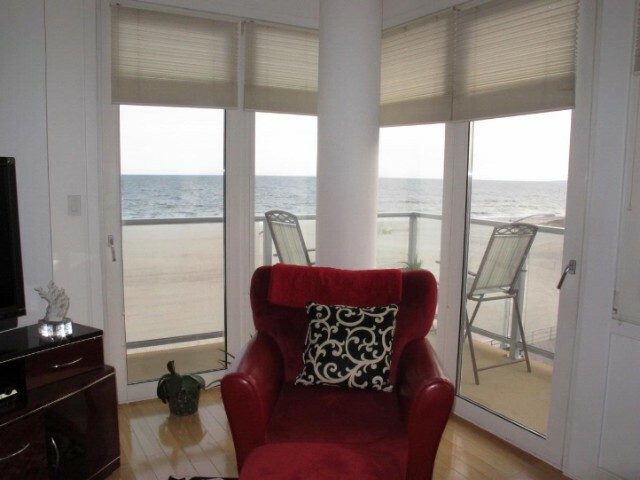 This oceanfront condo is located in the Seavon. The views are amazing! This condo was custom designed utilizing the second bedroom as a formal dining room! (Easy to convert back to a second bedroom). The open layout has all wood floors, kitchen with stainless steel appliances and a large living room with ocean views from every window! There is a long formal entrance with a full capacity washer dryer in a front closet, with lots of double closets in every room. The building has a lovely lobby with concierge desk, fireplace and locker area. The unit includes one deeded indoor parking spot.